Welcome to the Betsie Valley District Library...the little Library with a big heart! We are pleased to provide this online presence for your convenience and enrichment. The Library is very grateful to the Institute of Museum and Library Services for their support in bringing you our website. Our community was greatly blessed by the wonderful gift of a state of the art Library building by The Wayne and Joan Webber Foundation; we officially opened the doors to the new building in March 2014. We welcome all to "your" Library! We strive to make our Library a welcoming haven for all that visit and where we wish to grow the love and magic of reading with all of our community. Consequently, you may conduct any Library business on this site, such as renewals, reserves, etc., with the exception of paying fines. 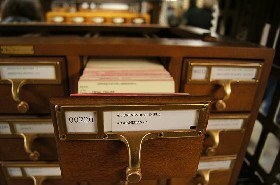 Also, you may research the Library catalog; Title / Author / Keyword searching. MeL Databases allow you instant access to full-text articles from tens of thousands of magazines and newspapers. Databases are available for kids and adults, covering specialized topics such as car repair and practice tests. MeLCat allows you to order books, audio books, music, movies and other materials and have them delivered to your participating library. View a video to familiarize yourself with MeLCat. We are a MeLCat participant Library! Seeking Michigan is home to a treasure trove of records, photographs, and maps. You can find records, state census records, and much more including photographs, diaries, oral histories, local records and historical Michigan data. Information about times, dates, speakers, etc. for Library programs and special services will be available on this site. Other links to local, regional and statewide information sources will be placed here. 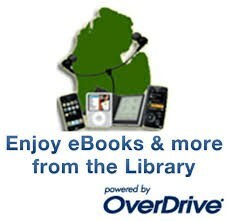 to check it often for information about upcoming Library programs and new services. Your suggestions are encouraged so we can make this site the most helpful to you, as well as your suggestions for the Library itself.